A few weeks back I was having lunch with a friend of mine at a quaint restaurant in Fremantle. Bread in Common is one of my favourite places to eat. It has high ceilings, a cozy atmosphere, and vintage vibes as it is situated in an old revamped warehouse. The food is delicious, the menu is perfect for sharing and they have big communal tables which are great for big groups or social occasions. I ordered my first glass of lavender lemonade and it knocked my socks off! Yes, it rocked my world so I have attempted to recreate it with great success. Not only does it taste light and refreshing, but it is also known to alleviate headaches and anxiety. Let’s begin! Add ½ a cup of honey and stir until it completely dissolves. Now add in your 4 tablespoons of dried lavender flower buds and stir until it is well combined. Remove pan from heat, cover the solution and let the mixture steep for about 20 minutes. Strain the liquid into a glass pitcher, discard the lavender then let it cool for about 10 minutes. Add 2 cups of cold water, 1 cup lemon juice and 1 cup of ice to the pitcher and stir it well. Garnish your drink with a few Lavender sprigs and you’re done! Your home made ways are really amazing. This sounds so delicious! And as a non-drinker, I’m always looking for an alternative to the usual options. This recipe is going on my alcohol free Pinterest board – thank you! Thank you for adding / sharing this recipe on your Pinterest page! Never heard about this recipe! Seem soooo goood! Thanks Cat 🙂 it tastes so sweet and refreshing. I remember seeing your Instastory of this recipe. It looked soo delicious! I’m definitely bookmarking this for the Summer! Awesome! Let me know what you think when you make it. 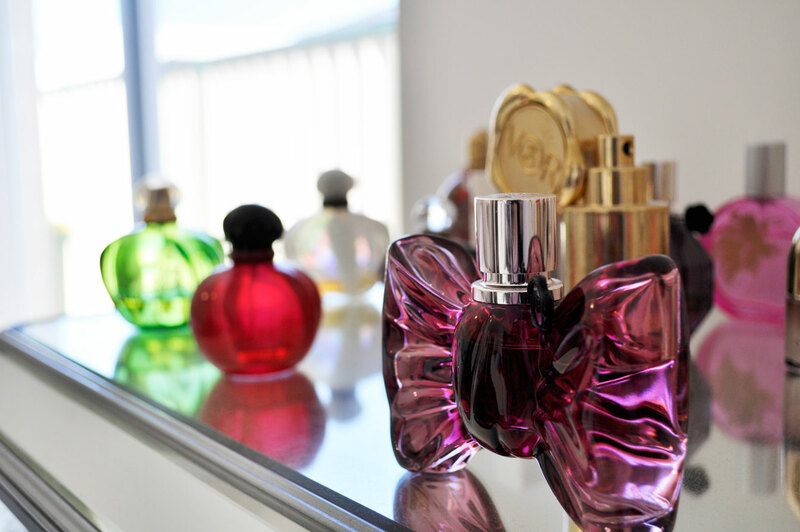 I love lavender everything, very cool! I personally don’t eat or use honey as a vegan, but substituting with agave nectar or rice malt syrup would be cool too 🙂 Thanks for sharing! I’m going to make it with agave nectar next time. Oh my, this sounds delicious! 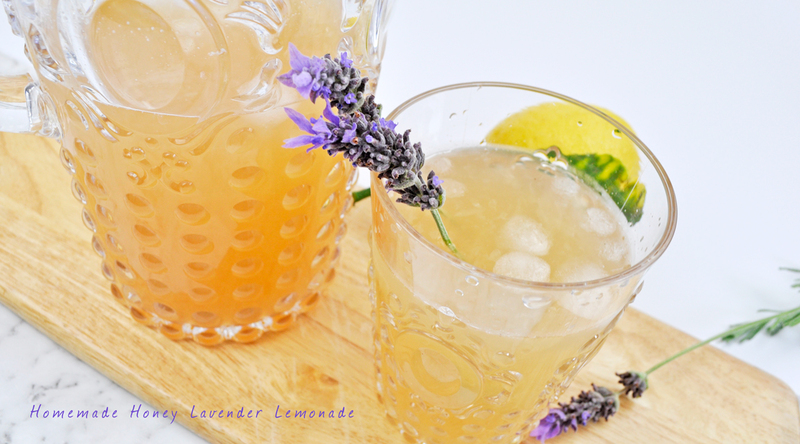 I’ve never tried honey lavender lemonade, but now I want to! I loved seeing you making this over the weekend. You make it look so easy! I can’t wait to try it! This sounds so delicious! The photos were beautiful! So first of all, this sounds ridiculously delicious. Second of all, these photos are BEAUTIFUL. Even if I didn’t like the sound of it your photos would have tempted me into trying! Lemonade is one of my favourite drinks in Summer, I’ll have to add this! Ooh this sounds and looks so delicious! Oh my lord this sounds so delicious!! I might have to give this a go over the weekend! Thank you so much for sharing your recipe – this sounds absolutely delicious! This recipe looks so good. I’m a big fan of raspberry lemonade myself. I’m sooo making this! I love bread in common too, but I’ve never ordered this drink there! Really great and educative post. Love it. Need to try this for the man! Feeling thirsty after reading this recipe. Sounds like a perfect drink for Spring afternoon! This is definitely on my ‘to make’ list this Summer!